Jim Mulvihill: Hello and thank you to all of the members of the media who have joined us on this week’s teleconference. Well, coming off a weekend with 10 Grade 1 stakes between New York and California, you might expect a lull in the schedule, but that’s hardly the case. We’ve got Keeneland set to open, three more Grade 1 races at Belmont on Saturday and the Grade 1 Santa Anita Sprint Championship out West, so plenty of top horses left to make their final appearances before we turn our attention to the Breeders’ Cup World Championships. A few of the horses, like champion Groupie Doll, they’re already stars, she’ll be running Saturday at Keeneland in the Grade 2 Thoroughbred Club of America. Others, however, like undefeated two-year-old filly Sweet Reason, could still be on their way to stardom. We’ll find out more about her in Saturday’s Grade 1 Frizette at Belmont, and then we’ll really get to the bottom of the two-year-olds four weeks after that at the Breeders’ Cup. Now, for your reference, the major stakes this weekend also include, at Keeneland, the Grade 1 Darley Alcibiades for juvenile fillies, the grade 3 Stoll Keenon Ogden Phoenix for sprinters, the Grade 1 Shadwell Turf Mile, the Grade 1 Dixiana Breeders’ Futurity for juveniles, the Grade 1 First Lady for fillies and mares at a mile on the turf, the Grade 1 Juddmonte Spinster for fillies and mares at nine furlongs and the grade 3 Bourbon for juveniles going two turns on the grass. At Belmont, we’ve got the Jamaica, which is New York’s final Grade 1 for straight three-year-olds at a mile and an eighth on the turf, and then the Grade 1 Foxwoods Champagne, which is the juvenile colts and geldings companion to the Frizette; that’s also at one mile. Santa Anita’s weekend stakes also include the Grade 2 City of Hope Mile, which was renamed recently to recognize the new Breeders’ Cup and Santa Anita charitable partner. That one’s for older horses on the grass. And as a reminder, between Keeneland, Belmont, Santa Anita and France’s Longchamp, there are 15 Breeders’ Cup challenge win-and-you’re-in races this Friday to Sunday, and that’s the most of any weekend on the year. So we’ve got a great cast of guests today. Later in this call, we’ll be speaking with Dale Romans. He’s got Silver Max in the Shadwell Turf Mile and Medal Count in the Breeders’ Futurity. Then Buff Bradley, trainer of Groupie Doll, and also Gary “Red Dog” Hartlage, trainer of On Fire Baby in the Spinster. But now to kick off today’s call, I’d like to welcome in our first guest and that is trainer, Leah Gyarmati. Gyarmati is a native of Queen’s, she started galloping horses for Allen Jerkens out of high school. Twelve years later she was riding races in the afternoons and earned 15 wins as a jockey between ’97 and ’99. Later in ’99, she shifted her focus to training and earned her first win at Saratoga that summer. Now, one month ago, she got her first Grade 1 win in Saratoga’s Spinaway. That was with two-year-old filly Sweet Reason, who will be among the favorites in Saturday’s Frizette. That race will help to clarify the picture for the November 1st Breeders’ Cup juvenile fillies. Leah, welcome to the call. You’re on with Jim Mulvihill in New York. Leah Gyarmati: Thank you. Hi, Jim. How are you? Jim Mulvihill: I’m doing great. We really appreciate you taking some time with us this afternoon. Now, Sweet Reason is a filly that was purchased as a yearling out of the Keeneland September sale and so we want to start from back there. I’m wondering if you can tell us a little bit about who picked her out, and were you part of that process and then how did she end up coming to your barn? Leah Gyarmati: Yes, I was part of the process. Jeff Treadway, he’s the owner. He usually does a list out of the book, just from the paper, the pedigree, and then we go together and look at everybody and kind of pick them off and make short lists, just like everybody else does, and she was definitely one of our favorites for that—at that sale. I wasn’t sure if we would actually be able to get her because, you know—while we did, he spent a good bit on her—that sale goes to all kinds of heights, so I wasn’t sure where she would be in it, so we were very happy to go home with her. Jim Mulvihill: And then once she came to the track, if you can think back to then, what did you see in her before her first start, as she was preparing for her first race, and at what point did you start to think this could be a really special filly? Leah Gyarmati: Well, I always thought she was a special filly, mostly because of her demeanor. She’s a very, very classy filly. She does everything you ask her to do exactly the way you ask her to do it. She wasn’t a standout so you didn’t ask her to breeze and all of a sudden she was, you know, whipping up these great times and you’re just kind of amazed by her. She just does exactly what you ask her, nothing more, nothing less. So I thought she was a really good filly just based on her attitude and the way she performed, the way she did what was asked of her, but I wasn’t sure how good because she never really came out and showed her cards until she broke her maiden, actually. Jim Mulvihill: And so then she’s won both her starts, including a Grade 1. Both of those came over sloppy tracks so I know a question you’ve been getting a lot of is what is your sense as to whether the sloppy tracks move her up a few lengths, or will she be just as effective on a fast track? Leah Gyarmati: I think she will be just as effective on a fast track, but like I said, she doesn’t do anything in the morning that you don’t ask her to do and even beyond that when she’s by herself, she looks around, she kind of plays with you the whole time. As soon as she has her sights set on somebody, though, she’ll run them down, in the morning included. So I guess it’s an open-ended question for me too. Maybe when push comes to shove, she isn’t the same horse on a dry track, but I think she will be. Jim Mulvihill: And the Spinaway was obviously a landmark win for you and that was your first Grade 1, correct? Jim Mulvihill: Now, can you just tell us what that feeling was like, and remembering back a month ago, that day and in the winner’s circle and then the hour after the race, what was going through your mind? Leah Gyarmati: It was a little bit surreal. Obviously, it was great to win a grade—it was actually my first graded stakes win period—so it was exciting and it being at Saratoga where all eyes are on you was doubly exciting. But honestly, a lot of it is just a relief because I know that Jeff Treadway, he’s put a lot of time and a lot of money and a lot of patience into this. He’s gone on for a few years putting what is, to me, serious money; it might not be—you know, it’s all relative, I guess, and I got a little frustrated because we got—we had a few horses that really looked like they could be—they would be all right and just had things happen, you know, just like they do on the racetrack, and I was so relieved that, finally, a horse came through with no bumps, no hitches, no—you know, she just went straight through and did all the right things and wasn’t—didn’t cause me a second’s worth of worry and I came through for him. So I was really relieved—that was the biggest thing—I think I was relieved and happy for him because he deserved it, you know, so that’s probably my first emotion there. Jennie Rees: Yes, Leah, I notice her first start was off the turf. Did you think she was going to be a grass horse or how did she end up, you know, being entered in a turf race, or did you feel like it was going to come off the turf? Leah Gyarmati: Well, actually, like I said earlier, she never really wowed you with her breezers in the morning. They were all good, they were all consistent and between the owner and I, we thought, you know, turf might be something she would be good at and the jockey, Alex Solis, who has worked her several times, he tended to think that her action and the way she felt to him might lend herself towards the turf. So because I didn’t have any big, giant breezes that knocked my socks off, I thought, well, sometimes turf races are a little easier anyway because you have some people that are fishing, that they don’t know what to do with their horse, so let’s just give her a shot on the turf first time out and see what happens. Jennie Rees: Yes, but early in the race when she’s almost 20 lengths back, are you thinking, ‘oh no, this is, like, awful’, or what are you thinking? Leah Gyarmati: No, no, not at all, because I went into the race thinking she wants to go longer anyway and Alex and I had spoken that no matter what happens, just break, let her get her footing, let her learn something, let her get behind the horses and just kind of make a run and pick up a check. That was the plan. So, hopefully, pick up a check. Jennie Rees: And in the Spinaway, I mean, it’s so tough to beat Pletcher, especially at Saratoga and in those baby races. What was your confidence level going into that race? Leah Gyarmati: I felt pretty good because I thought she had performed in her maiden race in a way that you could go into any race feeling confident, so even if you weren’t going to win it, her running style lends herself to run well so she’s going to fit, she’s going to make a run and even if she doesn’t win, she’s going to do well. I don’t think I was—I wasn’t thinking she would be the favorite or second choice, and I wasn’t necessarily thinking she could win it, but even her numbers showed her—actually, her number on the maiden race, her sheets number and Stopshoppingmaria and, I can’t remember who else it was in the race, they all had even numbers going in, so I thought I had just as much of a chance as any of them, plus I had already run over a wet track and, luckily, the Spinaway came up the same way, so I thought maybe they won’t handle it and I will so I felt pretty good. I felt good going in. Jennie Rees: How long have you been training for Jeff, and what does he do to support his horse habit? Leah Gyarmati: Jeff has had horses with me for about five—four and a half or five years, and he is a private investor so he invests—he worked, I guess, on Wall Street for a while and now he just does things for himself, so—but we’ve been working together for about five years. Alan Carasso: Well, you say that she never is fast in the mornings and then she goes out there this morning and works the bullet half mile, so can you talk about how she went this morning, and a little bit about—so you blew her out four days before her debut, then you gave her a week before the Spinaway and now you’re five days out here, and talk a little bit about the spacing of the work to the race. Leah Gyarmati: Well, because of her race at the Spinaway, I didn’t—her first work back was a couple of weeks after that and it was just an easy breeze and then I just wanted to stretch her out last time, and last time when we went to seven eighths, she got a little preoccupied. She—if she doesn’t have something to run at, she gets distracted and she just doesn’t necessarily put herself, her mind into it, and she ended up—she still worked fine. I was happy with it. Alex said she was playing in the stretch, not really focused in the last work, but that was fine with me. She’s just such an intelligent filly. She knows what she’s supposed to do so I think as long as she’s fit, she’s going to perform and she’s doing her best. I’m not worried about that. And today, she went kind of easy around the turns. You know, I think she went 25 the first quarter and then she comes home really well. I said, just kind of make her focus—she’s got to come running down the lane. That’s all I want her to do. I want her to come away from the work knowing when she turns for home, she needs to start running, and that’s what he did. I mean, he just showed her the whip, just held it out a little so she saw it so she knew he meant business, and she took off and she galloped out well too, but she—that was actually one of her best works, I think, especially being by herself. Up at Saratoga, she had a nice work but she had something to look at. There were a couple of horses working in front of her that she sat behind and as soon as she—he took her out, she just ran them down like nothing, so it’s just for her, by herself, today, that was probably one of the more impressive works that she’s done for me, but she’s not a morning glory. She saves it for the afternoon. Alan Carasso: On figures she’s awfully imposing and just wondering what you made of the results from last weekend with the two-turn prep out at Santa Anita. Leah Gyarmati: Well, I don’t really know the figures for those horses. You mean about her running two turns? Leah Gyarmati: I just feel very confident in this filly and our numbers are very good. I looked up her number for her last race and the way she ran, a very nice number, not that I necessarily had to see a number to know that because just watching her race kind of tells you that. And like I said, she’s a very, very intelligent filly and she gives you 100%, so I’m not worried. I’m not saying I’m going to beat everybody or anybody; I just know she’s going to give you 100% and she’s going to do whatever she can do. So I guess that’s all I can ask for. I can’t worry about everybody else’s—you know, I think she’s as nice as anybody else. Alan Carasso: And obviously, if you take this step and make the next one, that’ll be her first time around two turns, and the two-turn configuration going long, is that a concern at all? Leah Gyarmati: I don’t think so. Like I said, I think she’s very intelligent. As long as we kind of telegraph it to her ahead of time that she needs to wait, I think she’ll wait. John Pricci: Good afternoon, Leah. I was wondering, should you get a fast track on Saturday, where do you think—I know the filly likes to settle a little bit, but where do you think she would place herself in a fast track? Leah Gyarmati: I think the same place as she is on a wet track. I mean, her running style, even in the morning, no matter what, she just kind of relaxes, relaxes and then when you ask her to do something or ask her to run down a horse, that’s what she does. I think she’s best when she has some—has her sight set on somebody, so I think no matter what the surface, that’s the way she’s going to want to run. Art Wilson: Leah, I’m assuming that Sweet Reason is already Breeders’ Cup eligible? Art Wilson: Okay. Have you had any Breeders’ Cup starters in your career? Leah Gyarmati: No. Not that I’ve trained but I—when I was assistant for Allen, he had—actually, I think it was the first Breeders’ Cup, Silent Account. She didn’t run well but she was in it. Art Wilson: What would it mean to you personally to have your first Breeders’ Cup starter? Leah Gyarmati: It’s very exciting. I mean, obviously, everybody—you know, there are certain races in the country that everybody’s wanting to get a chance to run in and, obviously, the Breeders’ Cup is a whole series of races that people want to participate in besides the Triple Crown. Those are the races you want to be in, so it’s exciting. Art Wilson: And how do you look at the rest of the Frizette field? As a group overall? Leah Gyarmati: Well, it’s going to be a good group of horses, obviously a very competitive group, some of them that she’s already run against, some of them she hasn’t seen yet, and so—and with the track being not—I don’t think it’s going to come up wet so it’ll be another dimension that we get to see of her and she’ll have to run her best, and I have most respect for all the other fillies in there too. They’re all nice fillies. It’ll be a good race no matter what. Brian Zipse: Leah, first off, congratulations on a Grade I win and having a filly like this. Leah Gyarmati: Thank you. Thank you very much. Brian Zipse: Now, I got to ask, you can’t control the weather, of course, but if you had your choice, would you like to see another sloppy track, or is it better to get the fast track out of the way? Leah Gyarmati: Well, no, I think I’d rather see a sloppy track just because it is a nice race to win just in and of itself without—you know, if you walked away with nothing else, it would be nice to win it so—and I already know she can run over a sloppy track and I think some of the other horses are question marks in that area, so that would be great but that’s okay. I still feel very confident on a dry track that she will perform and she will give 100%. Brian Zipse: That’s an honest answer, thank you. How do you feel? This is a big race, prestigious, historic race. How do you feel about coming in with the favorite? Leah Gyarmati: It’s exciting. When I first walked into the paddock for the Spinaway, she was the favorite for a while, which shocked me. I really couldn’t believe that. I think that was partially because of the track because she had already proven herself over the wet track, so the fact that she would be favorite in this race on a—we don’t know what the track’s going to be, but I’m guessing it’ll be dry. It, you know, it’s humbling because people—that means there’s a lot of faith in her and I have that kind of faith in her, but it’s nice to see other people feel the same way. Brian Zipse: Yes. Last question. The Breeders’ Cup, do you feel like she needs to win, and what do you think she needs to do or show you on Saturday to earn the trip to Santa Anita? Leah Gyarmati: I don’t think she has to win. She has to just run well. She has to be right there and show she can—I guess, that’s where the dry track question comes in. She needs to show that she can handle the dry track just as well, or almost as well as she did the wet track and then she’s certainly—she belongs there, belongs in the Breeders’ Cup. Brian Zipse: Has she shown you anything different from Belmont to Saratoga, Saratoga to Belmont as far as getting over the track? Leah Gyarmati: No, today’s work—she breezed today and it was—and she breezed by herself with no company and nobody to run at, and she did show a little more aggressive behavior today, so I was glad about that. But all in all she’s a very calm, very laid back filly and she stays that way, but I’d say today’s work was maybe a little different. She was a little more on the muscle and focused than she had shown before. She worked really well and the fact that she did that on her own, I was happy with that. Jim Mulvihill: Leah, we seemed to cover this filly pretty thoroughly and heard a lot of encouraging news about her, so we’ll go ahead and let you go and wish you luck on Saturday and we’ll hope to talk to you again one of these days. Leah Gyarmati: Okay, great. Thank you. Jim Mulvihill: Leah Gyarmati, she starts Sweet Reason in the Frizette on Saturday at Belmont. Now we’re going to move on in the call to our next guest, and that is Mr. Dale Romans. Dale has been a licensed trainer since 1987 when he was 18. He’s trained a champion in Kitten’s Joy, a Dubai World Cup winner in Roses in May, Breeders’ Cup winners in Tapitsfly, Court Vision and Little Mike, and a Preakness winner in Shackleford. Last year, he won an Eclipse Award as the nation’s outstanding trainer. Last Saturday, Little Mike returned to top form, winning Belmont’s Joe Hirsch Turf Classic by a nose, and then the next day, Dale won the last race of the Homecoming Meet at Churchill Downs to get a share of the trainer’s title. That was his 11th training title at Churchill. This weekend, he’s got two big chances in stakes at Keeneland; that’s with multiple graded stakes winner, Silver Max, in the Shadwell Turf Mile against horse of the year, Wise Dan, as well as impressive Ellis Park debut winner, Medal Count, in the Dixiana Breeders’ Futurity. Dale, you’re on with Jim Mulvihill in New York. Thanks for being here. Dale Romans: Thanks for calling. Jim Mulvihill: Yes, of course. So first off, I want to congratulate you on Little Mike’s win on Saturday, really great to see him back in top form. Can you tell us how he came back from that effort and what his schedule’s going to be between now and the Breeders’ Cup? Dale Romans: It looks like he came back really well. He is a very sound horse. He dances every dance and it was great to have him back on his top form. I don’t know if I ever had a horse run a more game race than he ran on Saturday. He’s flying back to Kentucky today and we’ll just train up to the Breeders’ Cup. Right now, tentative plans are to fly out there on the 14th with all of them and anybody we have going and start getting him ready. Jim Mulvihill: Well, we want to talk about the ones this weekend and these might be on that same plane. Let’s start with Silver Max. He seems to be on top of his game right now but, of course, he’s got to face Wise Dan. Is this as good a time as any to take on the horse of the year? Dale Romans: Well, we’ve got to do it sooner or later if we’re going to run out in the Breeders’ Cup so we might as well do it now. I mean, Silver Max is on his game again and, you know, last year, I danced every dance with him, I hit almost every three-year-old turf race there was in the country and maybe wore him out a little bit by the end of the year. It took him a little while to get his feet back under him but the last couple of races have been phenomenal and, you know, we have all the respect in the world for Dan but we got to take him on and try him. Jim Mulvihill: Right, and you know, you mentioned last year and dancing every dance but then maybe being tired at the end of the year, so this race last year, I think, was his last one of the season. Was his poor effort that day just a matter of a long, hard campaign? Dale Romans: I think so. I just think I asked him to do a little too much and, you know, you get so excited about a horse like that and they’re winning so easy, you don’t think it’s taking its toll on him, but he had run a lot of hard races and he puts it out there every time. Even if he’s winning by six or seven, I mean, I know he’s running hard all the way to the wire and we gave him a break afterwards and it took him a little while to get his feet under him this year but he’s back on the track now. Jennie Rees: Yes, Dale, I’m looking at Silver Max’s career PPs and he’s 10 for 21, and in all 10 wins, he’s gone wire to wire. Is this a large enough sample to suggest a trend? I mean, does he have to have the lead? Dale Romans: Well, I don’t think he has to. I just think he’s faster than most of the horses he runs against that go that far, but he’s got a really nice turn of foot and he’ll set a fast first quarter and it’s hard for horses to go with him and still finish. But if you go back to the Virginia Derby race, I mean when the equipment broke on the—on one of the horses, I don’t remember which horse it was, they ran by him actually down the backside and were in front of him for quite a while and he didn’t get aggressive and it didn’t seem to bother him. But with that being said, we’re not going to change anything about him. We’re going to hit the gasoline in there to see how far he goes. Jennie Rees: And does that make it tougher when you’re taking on a horse like a Wise Dan, his style is what it is and, no way you can really adjust or react to one rival, I suppose. You got to just hope that he can’t catch you. Dale Romans: Well, it doesn’t affect us much—I don’t think it affects us much with Dan because he’s not going to be out there trying to run with us early, so we’re not going to have to worry about getting out of our game, and as you know, speed is always dangerous. I mean, he is going to have to catch us. So far, he’s been able to catch about everybody he runs against, but you know, hopefully Max will be the exception. Jennie Rees: And Medal Count, that was an off-the-turf race, and he is a Dynaformer, was he meant to be a turf horse, or were you just trying to get the mile distance at Ellis? Dale Romans: Just trying to—I was just trying to get the distance with him. You know, he trains so well, I think he can run on anything, but as I did with Cleburne and Smart Cover and some of our other better horses in the barn, young horses, I wanted to get the distance as early as possible and the quickest way to do that was to run on the turf. But it was perfect when it came off and he got behind the dirt and he got in a little trouble when he got boxed in a hole and couldn’t turn the foot the last 16th of a mile. Jennie Rees: And also about Medal Count, how many times have you won the Breeders’ Futurity? You won with Dullahan correct? Dale Romans: Yes. And Dawn of War. Jennie Rees: Uh-huh, and how does he seem like he might stack up with, you know, a Grade 1 winner, like Dullahan? Dale Romans: Well, Dawn of War was a little different. I mean, he was a little speedy horse and we took advantage of the speed favoring track that day. I don’t think that he was at the level of Dullahan or this horse. Medal Count’s training like one of the best horses I have in the barn. Tammy worked him the other day at Keeneland and said it was just phenomenal. He’s got—he’s a total package. He’s got pedigree, he’s got looks, he’s got—he’s smart and he’s a very good athlete, so I don’t know. The sky’s the limit with a horse like that. Jennie Rees: If he ran big, would you run him on dirt or turf in the Breeders’ Cup? Dale Romans: Well, I mean we would probably go for the dirt because if he ran big in this race and he broke his maiden on the dirt, you want to win the Breeders’ Cup dirt, you know, you’re probably champion two-year-old and that would be very important, especially for a Dynaformer, that would be big, especially looking for down the road when he goes to the stallion barn. Marcus Hersh: I’m just wondering with Silver Max, I know you stay optimistic with your horses, but early in the year, after his first couple of races, were you wondering if he was ever going to get back to the kind of form he showed, you know, during the last part of his three-year-old season? Marcus Hersh: Yes, so you’re saying that during the day, just watching him train, he always trained like the same horse? Dale Romans: Yes, see I always train him like the same horse and it just took him a race or two to get his feet under him, and like I said, I didn’t have to run him right off the bat against Wise Dan, and hindsight’s 20/20 but I probably should have given him a little easier pass into the year. Marcus Hersh: So if he runs well in the Shadwell, you will go on to the Breeders’ Cup Mile? Dale Romans: As long as he’s competitive and deserves another shot, then I think we would go. Marcus Hersh: That’s kind of looking farther down the road but you might have another really fast horse waiting in that race too in Obviously. Dale Romans: Yes, and that’s—you know, we have to deal with that when it—when we get there. I mean, last year, we changed tactics with Little Mike the day of the race, so you know, everything changes. Marcus Hersh: Right, you have to sometimes adapt on the fly. Dale Romans: And sometimes you just wait for that gut feeling and it hits you what to do and then a lot of times it works out. I don’t know why. Marcus Hersh: Not to talk about somebody else’s horse, but I mean, looking at Wise Dan’s races, and I know that you pay attention to history and stuff, I mean, does he look to you like one of the best horses we’ve seen in quite some time? Dale Romans: He’s an awfully good horse, there’s no way to knock him, and they’ve done a great job with him, keeping him running and managed, but it’s hard to keep a horse at that level for as long a period of time as he’s stayed there, and it shows a lot of good horsemanship that’s around him. I think you can consider him a superhorse, though, and I don’t think there’s been that many superhorses. Art Wilson: Dale, there’s been a lot of talk about the future venues for the Breeders’ Cup. A lot of people think that it should be maybe a permanent site, like a Santa Anita, and then there’s the other school of thought, where it should continue to be spread around to Belmont or other tracks. What’s your thought on the subject? Dale Romans: I think when the Breeders’ Cup was originated, the thought was to spread it around the country and take absolute top racing to different racing fans, and I think it should continue. I like it moving around. I think there’s fewer and fewer venues that it fits and it’s become such a big event, and there are a lot of logistical issues but, you know, what—California, Kentucky, Florida, New York, I like to see it just keep bouncing around so all the racing fans around the country would have access to a Breeders’ Cup at some time. Jim Mulvihill: All right, Dale, I’ll just ask you one final question about your year overall, for the barn in its entirety. It’s really come together in the past couple of months. Are there any reasons you can pinpoint for the difference between the first half of your year and now, moving into the second half of the year, or is that just the normal ups and downs of horseracing? Dale Romans: No, I think it’s pretty easy to pinpoint for my stable this year. We went to Florida, we turned a lot of horses out, got a lot of horses freshened and thought I was going to come out with guns blazing in the spring and as soon as we got back to Kentucky, there was some kind of bacterial infection and it just went through the whole barn and every horse had got spiked temperatures and gotten sick and coughing and it just took us several months to get over it but everybody’s fresh and healthy now and I’m very fortunate. I had a lot of good people working on them and my clients are very patient and that’s paying off for us, so right now, I think we have a lot of fresh horses that are doing well and I got a lot of nice two-year-olds. We got a lot of work with and a lot to look forward to next year. Jim Mulvihill: Very interesting. Okay, well I’m sure we’ll be hearing more from you then and we wish you the best of luck this weekend, Dale. Dale Romans: All right, thanks for calling. Jim Mulvihill: All right, thanks so much. Dale Romans talking about Medal Count and Silver Max. Now, we’ll move on. We’ve got four trainers to get to this afternoon, so let’s get right to the next guest, that is William “Buff” Bradley, trainer of Groupie Doll. Bradley was born and raised in Frankfort, Kentucky and grew up working on his father’s farm. In 1989, he went to work for trainer Clarence Picou, and in 1993, he went out on his own, training for the powerful John Franks stable. His biggest client is his own father, Fred Bradley. Together, they’ve bred and owned multimillionaire and Grade 1 winner, Brass Hat. Their current stable star, of course, is Groupie Doll, the 2012 Breeders’ Cup Filly and Mare Sprint winner and champion female sprinter. She runs this weekend in Keeneland’s Thoroughbred Club of America Stakes. Buff Bradley, welcome to our call. Jim Mulvihill: All right, we appreciate you being here. Now, Groupie Doll, she’s back on the same schedule as she was this time last fall when she reeled off wins in the Presque Isle Masters, the Thoroughbred Club of America and the Filly and Mare Sprint before missing in that heartbreaker in the Cigar Mile, but do you get the impression she can finish this year just as strong as she did last year? Buff Bradley: Well, I see no indication where she could not. She’s doing very well at this time and, in fact, I see her better prepared mentally this year going into these last couple of races. Jim Mulvihill: And what indicates to you that she’s better prepared mentally? What do you see in her that shows that? Buff Bradley: In the morning, she’s very much into her training. She’s a very relaxed mare, but she—when she comes out of her stall, she’s getting to play a little bit and, normally, she walks out of her stall and just walks around the shed row and she’s as quiet as can be. But now she’s on it a little bit and back—when we put her back in her stall after training today, you know, she was bucking and jumping up and down in there, so I just really feel that she’s ready to go right now. Jim Mulvihill: Excellent. Well, maybe to elaborate on that, you can tell us about her work on Saturday, 48 and one at Churchill and she tends to work fast, especially this final start before—or the final work before a start, so what did you see in this one on Saturday? Buff Bradley: Yes, and that’s what we usually do, is just sharpen her up a little bit right when we’re close to running. I caught her from the three-eighths pole to the seven-eighths pole in 47 and three. That’s the poles where I’ve got the angles, so we know that she galloped out really well even in that :48 and one, and, you know, she did it all in hand. My exercise rider, Jada Schlenk, who’s been on her every morning galloping and for the last two breezes, has said that she’s just doing everything she asked and switches leads on cue, and so we feel like that, physically, she’s really coming into this race really well too. Jim Mulvihill: Terrific, and would you attribute any of that to the amount of time off she had? I mean, she had more than eight months off. Where did she go then, what was she doing and how does that affect how she’s doing right now? Buff Bradley: Well, when we decided to give her the time off, you know, I talked to my father and my other two partners and they said I could do whatever I wanted as far as just giving her some time off, and we let it be a longer period of time off because we knew that we weren’t going to get ready for races that were going to be happening late spring/early summer because there were none at that time. So we gave her plenty of time. She had a tough campaign last year. She wasn’t bad but we knew she needed time, and when she came back in the Gardenia in August, then we were very pleased with her performance there. She ran third in that race, but she had some problems in that race and I think she just needed to run and knock the rust off a bit, and after that race, we felt very good about her mentally coming back, the way she did come back mentally, that she wanted to still run and was into it. When you give a filly or mare off that amount of time, you always wonder, are they going they going to settle into farm life or are they going to want to come back and be a racehorse, and she wants to be a racehorse, there’s no doubt about that. Jim Mulvihill: Terrific. Well, I’m interested in what you said about the schedule, so there are just no good spots for a Grade 1 caliber female sprinting in the first half of the year? Buff Bradley: Well, we weren’t going to be able to get her ready for the Vinery or the Humana Distaff, and those were the two races that we were wanting to get her ready for, and the Inside Information, that was run in March at Gulfstream. Once those races didn’t look like that we were going make those no matter what, I needed to give her enough time but I wouldn’t be able to get her back ready for those three races or any of those three races, and then last year, we gave her the time off after the Humana Distaff because there weren’t any races that really worked for us going into the schedule that we wanted, and our ultimate goal is, obviously, the Breeders’ Cup and working up to the Breeders’ Cup. Jennie Rees: Hey, Buff, last year, you were really a bit concerned about the six-furlong distance of the Thoroughbred Club of America because it’s—it was the shortest she’d ever run and she won by six and a half, but at her last two races this year, but when she stumbled and then she broke a little flatfooted in the Presque Isle Masters, does that make you concerned about her getting out cleanly at all with the distance? Buff Bradley: Well, she breaks well but she tends to take herself back right after that, and I talked to Rajiv about it. Yes, I can’t say six furlongs was her best distance, but she can win it, six furlongs obviously, since she won this race last year, but you know, we’re going to have to get her engaged for that race a little earlier this year. And that’s what our plan will be, is to get her up there a little closer. She doesn’t have to be on the lead, and that’s not what I’m saying, but if she could run a race like she did in the Humana Distaff last year, then I think we’re good. Buff Bradley: I only know what works for me and for—well, for Groupie Doll, and that is the timing for the races and the spacing, and it really works and it might be that way for female sprinters, I guess, you know, that they’re about a month apart all the way up into the Breeders’ Cup, and we feel like we were taking a fresh horse basically in this fall, and we did last year because her Presque Isle race was the first race back after a little layoff last year. So I think that, you know, that’s possibly more of timing than surface. The surface is fine for Groupie Doll. She’s handled both surfaces, both the Tapeta at Presque Isle and the Polytrack at Keeneland. I think she’s a better dirt horse, but I don’t mind taking her to these because of their spacing and their geographic locations. Jennie Rees: So you think maybe that’s just because there’s not a lot of big money races for female sprinters that the best congregate in these races and it would make some sense and they could produce the winners? Buff Bradley: You know, you’ve got a few on the West Coast. I think one from the West Coast is coming over for this race but I don’t know. A few of them had run in New York just recently so those horses are the ones that people look at too, the mare Dance to Bristol who just ran second, I believe, up at the Gallant Bloom in New York. You know, those aren’t getting to go into this race, but those are probably other horses that are the ones that we’re going to be looking at down the road. Alan Carasso: Good. You know, it seemed last year that she was very much bulletproof. She had a serious killer instinct about her and understanding that she had the long layoff, not able to finish the race off at Ellis and I’m wondering how fit you had her for Presque Isle because it seemed like she got there and that that race was more work and that she was maybe still even a little bit rusty even coming off the Gardenia prep? Buff Bradley: You know, coming off the Gardenia, I felt like she was pretty fit and we felt pretty good after that race. I think she ran a heck of a good race in the Presque Isle Masters, and she did break a track record there. I think she had the killer instinct the last half a furlong, in my eyes. Alan Carasso: And you feel like she’s as good as she was last year coming into this part of the season? Buff Bradley: Absolutely. I have no doubts in my mind that she’s as good as she was last year at this time, and as I said earlier in the—when I talked, that mentally, she seems like a better mare, like she is more prepared mentally to let’s go do something and that she is feeling this—feeling really good at this time of the year. Alan Carasso: I don’t know if you’ve looked this far ahead, but the Breeders’ Cup, that’ll be her fourth start of the year. Do you have any plans to keep her in training at six or any plans to sell her? Buff Bradley: Well, she’s been entered in the November Breeding Stock Sale at Keeneland. So right now, we are focusing on these next two races. Hopefully, after the Keeneland race, that we look at the Breeders’ Cup and those—but that’s our main goal right now. John Pricci: First, I think you should be commended for treating the game like a sport, as you did last year, taking a shot at the Horse of the Year crown. You said it, you know, it took her a while to get back to herself this year. I was wondering, was that the payback for running against colts going a mile after the Breeders’ Cup win? And number two, do you think that the layoff in the winter is sort of a blessing in disguise given how she’s doing right now? Buff Bradley: I don’t try to second guess a sound decision that we made at the time to run her. She came out of the Breeders’ Cup Filly and Mare Sprint in excellent shape and, as you know, we weren’t running her hard. That was only her third race after a layoff the last time, so we did want to take her to New York and run her up there, and it wasn’t just going for Horse of the Year. We weren’t—that really did not come into our minds, it really didn’t. I know a lot of people talked about it. But our filly was ripe and one thing I’ve learned is when you’ve got a horse that’s ripe, you run them, and especially a horse that’s of her caliber that’s fit and you have a good race like that. We enjoyed going up there and taking the shot at them, and I think we ran a hell of a good race, but in the end, did it take its toll on her? I don’t know that that race did it. It may have been the whole season. She wasn’t horrible but I knew she was a tired horse. I could have maybe just given her a couple of months off, but it—and schedule-wise, as I said earlier, it just wasn’t going to work out for us, and don’t regret doing that, and as you said, it may have been a blessing in disguise. We feel like that we’ve really got a fresh horse right now and she’s come back really, really good. I can’t tell you how excited I am about her right now. John Englehart: Want to get back to one thing (audio interference) a little bit to get your feelings about, and that is the fact that she is entered in the mixed sale. Do you really think your intentions are to let her go, and what is your emotional feeling about a horse (audio interference)? Buff Bradley: Well, I tell you what, it’s very hard. I haven’t talked about it a whole lot because I know it is—it’s very hard. It was a very hard decision for myself and three partners, including my dad there. We’ve done a lot of discussing and trying to figure out the right thing to do for her, and for us as well. We want to keep going in this thoroughbred business, and we feel like that it is the time and the right time to put her in the sale. I don’t know what the results are going to be, you know, if we do sell her. That’s the plan, but anything can happen. You know, I’m going to cry that day. John Englehart: Well, all I can say is it’s been—watching you, you know, develop her and watch her career and whatever happens, you know, we’re in your corner and we wish you the best. Buff Bradley: Well, I appreciate it. It’s tough, I think we’re doing the right thing and we did get to bring her back this year and race her and knew that we had opportunity enough to—we were approached several times to sell her last year. We didn’t. We really wanted to run a nice mare this year, and I believe we’ve done that and, hopefully, we get two more good races and show how strong she really is. Jim Mulvihill: Buff, whatever happens in November, you said it’s going to be tough and that’s surely because of the quality of this mare but also because of, you know, what she’s meant to your family. I’m wondering if you can talk about your dad and, you know, what having a mare of this caliber means to him at this point in his life, and as well as what it means to you to train one for the family that’s this good? Buff Bradley: Well, yes, you know, it’s been really good for him. It’s given him something to look forward to. As I said, we would—we were really glad to be able to race her again this year, and that was the main thing about giving her the time off. You’re going to run a sprinter, a top of the level sprinter, you better be 110%, and that’s what I’ve told them all along; let’s just be sure and give her plenty of time. We’ve learned that. We did that many times with Brass Hat, to give him plenty of time off and—but it worked for us, so it’s meant a lot to our family and to my father that we even—you know, we’ve bred two great race horses, the first being Brass Hat, and we enjoyed that ride all the way. As you know, I mean, he retired at 10, his last race at nine, and won a graded stake at nine. So we really know how fortunate that we were and how blessed we were to have a horse like that, knowing that we could go our whole careers without owning or training a horse of that caliber, so we were very fortunate there. And I think after him, I mean the day he left the stable, Groupie Doll walks in, so it’s just been a really, really good ride and to have two horses like that and to have a championship Filly and Mare, Groupie Doll’s been exceptional. Jim Mulvihill: Now, you don’t mean—it wasn’t literally the day that he left the barn that she walked in, is it? Buff Bradley: No, not the day but they both were in the barn at the same time and the day that I took him home, I said, hey Brass, pass the baton off to one of these other horses because we need another one to keep going. So it almost was. Jim Mulvihill: Buff, we really appreciate your time today, and we’re looking forward to Groupie Doll’s next couple of starts. Buff Bradley: Okay. Thank you so much for having me. Jim Mulvihill: Thank you. Buff Bradley, trainer of Groupie Doll. He was very emphatic, saying that she is absolutely as good as she was this time last year. Now we’re going to move on to the final guest of our call today, and that is Gary Hartlage, “Red Dog”, trainer of On Fire Baby. Hartlage is a Kentucky native. He’s been training since 1980. Earlier this year, he got his first Grade 1 win with On Fire Baby. She’s in Sunday’s Juddmonte Spinster at Keeneland. That race is one and one eighth miles on the main track. Red Dog, welcome to our call. Gary Hartlage: Good, thanks. It’s good to be here. Jim Mulvihill: All right, well On Fire Baby, a distant fourth in the Personal Ensign but, you know, Royal Delta was at her absolute best that day. It was just one of those races where she wasn’t going to be beat and On Fire Baby was really the only one that tried to keep up with her early on, so you know, given the way it unfolded, to me, I’m thinking that was a better effort than it looks on paper. I mean, what do you think of that and that performance? Gary Hartlage: Well somebody had to test her. I was hoping it was going to be somebody else first, but I left that up to Joe and there wasn’t no time to tell out of the gate. You know, Royal Delta was going to go to the front, so we went up there and tested her a little bit and I still don’t think she’s fired her best race but running against her, I think Royal Delta’s fired as good as she can fire and I don’t think we would have beat her anyway. I don’t think anybody would have beat her that day. But, you know, she came back out of the race good. She shipped back home good and everything’s good so (inaudible) another ride here. Jim Mulvihill: Excellent. Well, I want to ask you about this family. I mean, you trained the dam Ornate and then this filly’s half sister, High Heels, was a Grade 2 winner and then another half, French Kiss, earned over a quarter million dollars. What can you tell us about Ornate and her success as a broodmare and then this family in general? Gary Hartlage: I’m just glad we put a pretty good reserve on her where they didn’t get her. I think they missed by 5,000 from getting her in the sale when it was on, that it was (inaudible) with High Heels, and she had reserves on her and they brought her back and it’s just been all good since then. And, you know, everyone in the family can—everyone in the family can run a little bit. She sold one of them, you know, (inaudible) had a little injury and she sold her in the sale. It brought good money. The whole family’s—every one of them, when they come in the barn, they can run and, you know, for a trainer, you can’t ask for much more than that, and Anita Cauley did a great job breeding him to where he—I don’t know, he’s just—you know, hopefully, the end’s not there yet. Jim Mulvihill: Right. And is it more satisfying to train a horse of this quality when it’s one that came from a dam that you trained and also it’s an owner that you’ve been with for 20 years plus? Gary Hartlage: Oh yes, and I—you know, I tell you, you can’t—I don’t know what the words to say that is because I’ve been with—Anita’s been with me for so long and she’s such a good owner, it’s just—yes, it makes it all—it’s pretty gratifying to have happen. Gary Hartlage: Yes, her late husband, Barry. Yes, I think it was—they came to me, I think it was in ’86 they came to me at Churchill and asked me if I’d take a horse for them, and I did and then we kind of just—I went up and handled three or four horses and back to one, and three or four and back to one and it’s—you know, I was—they was with me there—they’ve been with me since ’86, so—and, you know, that’s what, the 27th year I’ve been with them. Jim Mulvihill: Oh my gosh. Gary Hartlage: It’s been a good ride and it’s gotten better as the years go on, so we’ve had a good horse in the barn in sort of the last four or five years, which is pretty good. For, you know, as little—as I’m, like I’m 12 or 14 horses so I’ve got a good horse in the barn and they—any trainer will tell you that that—you know, when you get up in the morning and you have a good horse in the barn, there ain’t nothing like it. Jennie Rees: Yes, Gary, could you just talk about her race in the Alcibiades last year? It’s her only time on synthetic. Gary Hartlage: Yes, that was in her two-year-old year. It was her second start to—it was coming off of a five and a half furlong race, she won, ahe was on the also-eligible list and we drew in that morning and we found out that morning that we could go up there. And we pressed the pace for a long time, got to the head of the lane and then, you know, she just—it was her second start. I mean, I was asking a whole lot for her but I always thought she was the best horse I ever had, and I still say that today, she’s the best horse I ever had. We had high hopes in her from the beginning and it’s been like that ever since. She’s ran in—she ran the maiden races and ever since her maiden race, she’s ran in stakes. She never has run an allowance race. I think she’ll handle the Poly. I think she’ll handle the grass too. We entered her for a grass allowance race at Churchill that didn’t fill before this race. I don’t think the surface matters to her. Gary Hartlage: You know what? I guess, you know, it sure would be nice if we ever get her on grass and she’s been on grass and dirt and it…I don’t know. I’m really looking forward to her running a real big race this coming weekend. I just—she’s showing every sign that she’s back to 100%, so we’re going to find out what happens there. Jennie Rees: Well, to elaborate on that, you know, you thought she was doing really well before the Personal Ensign, you went to Saratoga. What’s she showing you now maybe that she wasn’t even showing you, you know, six weeks ago? Gary Hartlage: She’s getting tougher. She’s getting really, really tougher to handle in the mornings. I mean, you know, like, I put a (inaudible) on my horses every morning when they gallop and when they do that, and she’s like—she’s training like 10 seconds faster every morning than she used to train on her own. I mean, Joe has to restrain her some days. She is just—she’s got a lot full of herself before this now than before she went to Saratoga, so I kind of seen that in her two-year-old year and the beginning of her three-year-old year, and then she kind of—when she got turned out, she (inaudible). It was like a (inaudible) a little bit but, you know, she still jumped up and ran, but now she’s kind of getting back into the groove, where she’s just—she wants to be the boss and I guess we’re going to find out Sunday how that is going to work out. Jennie Rees: Does she remind you at all, like, how she was maybe acting before the Apple Blossom? Gary Hartlage: No, she’s a little more aggressive right now than she was before the Apple Blossom. That was the only thing that bothered me in the Apple Blossom because she was laid back a little more. She’s been laid back when she was on—you know, when I give her that (inaudible) layoff, and now, she’s kind of gotten fired up again like she (inaudible) be ready to take somebody on. So I just—I think it’s good. I think it’s good that she’s like she is right now. You know, I have to slow down on her horse a little bit and I ain’t working as much because of that, which is good, because she’s training so hard, I don’t have to work her every seven days (inaudible) however, it’s 10 days or 11 days and she’s kind of controlling her own destiny and I’m going to just take her right where she’s going and we’re really looking forward to this. I think it’s going to be (inaudible). Jennie Rees: Yes. And final question, looking at her before she started up at Ellis Park and Groupie Doll, her third—fourth career races were at Ellis, and this horse that Dale really likes that he’s running in the Breeders’ Futurity just coming off a race at Ellis. Do you think Ellis is kind of an underrated place maybe for two-year-olds? Gary Hartlage: I think—you know, definitely I do. I think you never know what you can catch at Ellis Park. I mean, especially with all the people that’s stationed at Churchill Downs during the summer, you know, some of their two-year-olds don’t come on until August and then all of a sudden you jump up and you find one out running, you know, here you go. You know, I got a little filly that—and I got in the Alcibiades, she ran second at Ellis Park; she didn’t win at Ellis Park. So, I mean she got beat by (inaudible) that I think’s in the Alcibiades too. I mean, you can—Ellis Park, you can find anything at Ellis Park, you know? I jumped up (inaudible) that’s where I broke (inaudible) maiden is at Ellis Park. Gary Hartlage: I think Ellis Park’s, yes, definitely underrated. You can find anything—anything can win at—if you can find anything from a Grade 1 to a $5,000 horse at Ellis. Jennie Rees: Like, what, a target or something. So you entered that filly, Harlan’s Special, in the Alcibiades then? Gary Hartlage: Yes, she’s in the Alcibiades, yes. Jennie Rees: Mm-hmm, and just some of your thoughts. I know a year ago, or two years ago I guess it was, you were bringing On Fire Baby to the Alcibiades. I guess we can’t really compare the two. Gary Hartlage: You can’t—if I told you right now, there’s—I’ve never—you know, this horse has never showed what On Fire Baby showed, but this horse has already been along (ph) three times, which On Fire Baby was only five and a half coming into the Alcibiades, and this filly has never—she’s—every time she runs, she keeps on coming down the lane and she keeps on coming. I mean, the other day, she probably should have won by five or six, but she seen the starting gate and shied, so—and I know she was a maiden going in but her numbers are going to put her—her numbers are going to put her where she belongs, so I think she’ll run a good race. Jim Mulvihill: All right, Gary, can you elaborate a little bit more on Harlan’s Special, especially, you know, the last race at Churchill Downs in the Pocahontas, that was a—you know, she did seem to come running at the end, so can you just tell us a little bit more about her progression from, you know, (cross talking) she was still a maiden. Gary Hartlage: Right, but I did run her back after the Pocahontas. I ran her in a maiden race and she went that two and three quarter lengths but she got taken down. She seen the starting gate when she made the lead and she ducked over in front of the favorite and (inaudible). It was just a bad deal but she come out of the race good and she’s (inaudible). Once you got her straightened up after she got her head together, she went on about her business and I think—you know, she’s a maiden but she’s not a maiden, you know? She’s (inaudible). Jim Mulvihill: All right. And then, you know, the last question I’ll ask you is about your regular rider, Joe Johnson. I mean, he’s coming up on a thousand wins. What can you tell us about Joe and what do you like about him? If you could have your pick of a lot of top riders for a filly like On Fire Baby. What’s the—what’s got you and Joe together? Gary Hartlage: Joe’s been with me for 26 years. He came into the barn, he didn’t know anything and he started walking horses and then he started rubbing horses. He’s on all the horses. I had him running from day one that he got there, you could tell he was a real good— he was going to be a real good horseman, and to this day, he’s a real good horseman. I mean, Joe could train horses, he’s that good. I mean, he knows what’s going on. I got the horse, I ain’t worried. Joe’s going to get him there. It ain’t going to be because Joe Johnson, I’m saying that, any jockey can get any horse beat on a given day, because I can get one beat, you know on any day. Anybody can make a mistake every now and then but overall, Joe’s going to have the horse, he on them all the time, he knows if something’s wrong or if something ain’t right. He’s knows her. Nobody gets on her. He gallops her every day. Nobody else gets on that horse but Joe, he’s the only one that gets on her, so he knows every twitch she makes, if he couldn’t ride her, I would really be upset. I would rather have him than anybody in the country on her. Jim Mulvihill: Fantastic. Well, Gary, we really appreciate your time today. It looks like you’ve got a good shot in the Spinster and we wish you luck. Gary Hartlage: Okay. Thank you. Jim Mulvihill: All right, Red Dog Hartlage, trainer of On Fire Baby. She’s going to be in the Juddmonte Spinster this weekend at Keeneland and right now, I just want to thank, once again, our guests, not only Red Dog but Leah Gyarmati, Dale Romans and Buff Bradley. A reminder, this is final NTRA teleconference of the year; however, we want you to mark your calendar for a Breeders’ Cup teleconference. That one will be hosted by Jimmy Gluckson on pre-entry day, October 23rd, also at 1:00 p.m. Eastern. 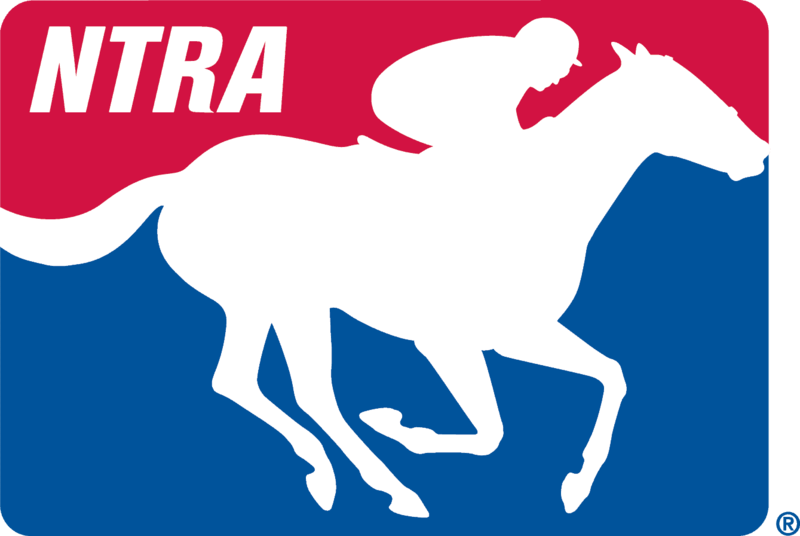 Remember, an MP3 of today’s call will be available later today at NTRA.com and a full transcript will be posted there tomorrow.